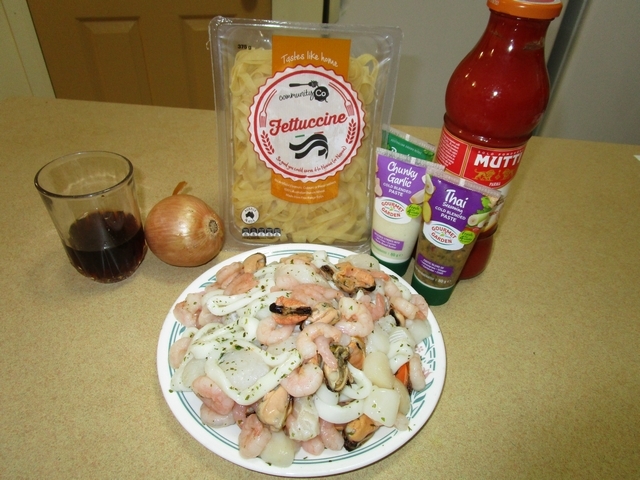 Cook fettuccine in boiling water until just tender. Drain. Meanwhile, heat oil in a large frying pan over medium heat. Add onion and garlic and cook for 3 minutes. Stir in wine and cook for 1 minute. Add pasta sauce. Bring to the boil, stirring occasionally. I had to change to a Camp oven as I made two much sauce. Add marinara mix and stir to coat well with sauce. 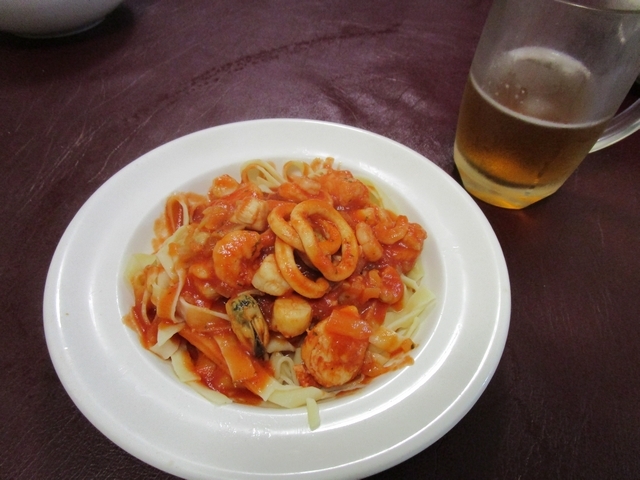 Cook over medium heat for 2 to 3 minutes or until seafood has changed colour and is just cooked. Stir in parsley and season with salt and pepper. To serve, divide pasta between bowls and spoon over sauce. Page completed in 0.5089 seconds.